How to Plan a Wine Vacation in Tuscany Discover Wine Country – Across Your Country! Spring out of your daily routine and into wine country! The weather is warming up, flowers are blooming, Easter candy is filling the shelves in every store, and suddenly we have to move our clocks forward and lose a precious hour of sleep. It can only mean one thing…spring is coming! As much as you may want to crawl back into hibernation and beg for another 6 weeks of winter, it’s time to face the sunshine and break out of your daily routine! Treat yourself this spring with the much-needed vacation you’ve been dreaming about all winter. What could be better than breathing in the crisp spring air as you soak up the stunning vineyard landscapes & sip on a cool fruity glass of vino? We can’t think of anything more pleasurable. So spring out of your winter rut, and into wine country! Amidst seven acres of Pinot Gris and Pinot Noir vineyards in the beautiful Willamette Valley is Allison Inn & Spa, a sophisticated and spacious resort that provides the perfect place to relax in wine country. Rustic yet luxurious, the Allison offers guests a number of modern amenities, including a private terrace or balcony, a warm and inviting fireplace, a spa-like bathroom, and stunning hillside views. You won’t want to leave your cozy room, but be sure to take advantage of their amazing spa and signature restaurant! Looking for a reason to go on vacation this spring? 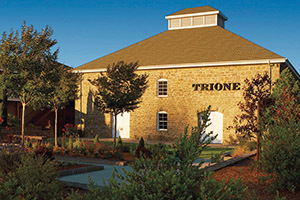 Trione Vineyards will give you plenty of reasons to celebrate! This year they are celebrating their 10th anniversary as winemakers, 40th anniversary as farmers and managers of Sonoma vineyards, and 80th (!!!!) anniversary of their tasting room in the Old Stone Winery building! Visit the stunning and historic vineyards of Trione in Sonoma and raise a glass to another year of delicious wine…it’s time to celebrate! 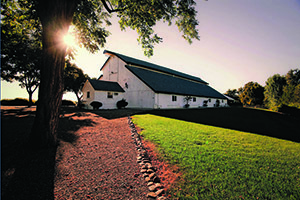 Vigilance Vineyards is located at the Southern end of Clear Lake, and is home to the Shannon Family of Wines tasting room. The Shannon family is dedicated to their land, and of their 1,850 acres. Only 35% of their land has been converted to vineyards, the remainder is dedicated to preserving the natural wildlife that shares their home with them. They feel blessed with their beautiful land and wines, and are eager to share it with guests, inviting them to relax on their deck or hike throughout their vineyards. You will feel like a member of the Shannon family on your next visit to Lake County wine country, so plan your visit to Vigilance this spring! 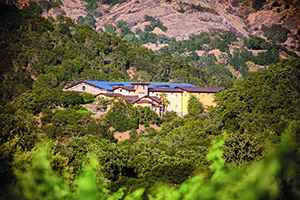 Silverado Vineyards is unlike any other Napa Valley winery, resting at the top of a flat-topped knoll in the Stags’ Leap District. The Mediterranean-style tasting room is a beautiful place to relax and taste their award-winning wines, including the new vintage of SOLO Cabernet Sauvignon released each year to honor the legendary Heritage-Clone Cabernet Sauvignon vineyards. Join in on one of their quintessential tasting experiences such as an in-depth Library Tour to learn the Silverado story, a stroll through the vineyards with a wine educator on the Vineyard tour, or a personally guided Silverado Experience tour. 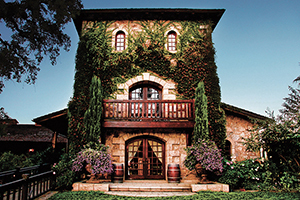 Whatever you decide it will be a memorable visit to the Napa Valley! Now that you are dreaming up a spring getaway to Lodi, it’s time to pick the perfect place to stay! Wine & Roses is the ideal romantic destination that will be the cherry on top to your wine country experience. They have a knack for pampering their guests, offering luxurious amenities while still making them feel right at home. Relax and soak up the stunning garden views from the comfort of your room, or venture out into downtown Lodi. Either way, Wine & Roses is the perfect spot to lay your head during your next adventure into Lodi wine country! Nothing says vacation like an exotic getaway to the Mediterranean, but if a quick rendezvous to Greece isn’t exactly in the cards this spring, Miraflores Winery in Pleasant Valley is the next best thing! The Mediterranean style tasting room—and a few glasses of their award-winning wine—will transport you right to the Mediterranean islands. Their tasting room is filled with a number of unique artifacts dating back to the 16th century, including their fireplace from the Island of Cyprus! Visit today for some much needed R&R this spring…Mediterranean style! Don’t stop daydreaming about an Italian getaway just yet…V. Sattui has the intense feel of a small Italian village! Along with their stunning winery building and tasting room, they also have an amazing Italian marketplace where you can find more than 200 artisanal cheeses, house-cured meats, local baked breads, and more! So grab some lunch, a bottle of their exceptional vino, and begin your search for the perfect lunch spot amongst their two acres of picnic grounds. What says springtime like an Italian style picnic in the vineyards?! Unique climate, soil, and topography are the recipe for success that makes El Dorado County an ideal winemaking location. With an average elevation of 2,401 ft. within the stunning Sierra Foothills lies Perry Creek Winery, known for their distinctive wines with rich concentrated flavors. With award-winning wines and picturesque views, Perry Creek has just what you need to break out of that winter slump and kick start springtime! If Italy is more your style, get into the Italian spirit at Lucas & Lewellen Vineyards! Visit their beautiful Tuscan style Toccata tasting room in downtown Solvang for the ultimate spring getaway. Close your eyes as you indulge in their Italian style varietals and you will instantly transport yourself under the warm Tuscan sun! Buon viaggio! Just south of the Mokelumne River in northwest Lodi resides the historic 70-acre estate that is home to Oak Farm Vineyards. Guests are welcomed to relax and enjoy a picnic on the 10 acres dedicated solely for their enjoyment. Here you will find yourself in awe of the beauty of the century old oaks, a private lake, and spectacular views. Visit their casual yet sophisticated tasting room and taste their small-lot and single-vineyard varietals that express their truly unique terrior while cozying up to the fireplace or relaxing on their outdoor terrace. 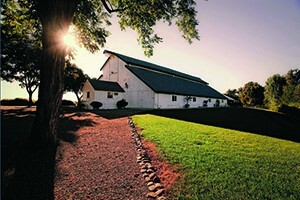 Springtime in Lodi is waiting for you at Oak Farm Vineyards! One Response to Spring out of your daily routine and into wine country! Love your web site! We are planning our 50’th Wedding Anniversary next year and the trips to wine country in California and Tuscany look appealing. 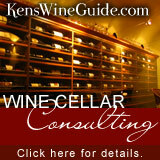 Thanks for the great information – especially useful for those of us who know little about wine. I wonder what you know about the Wine list at the new restaurant in W Concord, Woods Hill Table. While not organic they are careful to sell wines that “do not spray herbicides and pesticides on your drinks”. Any thoughts?